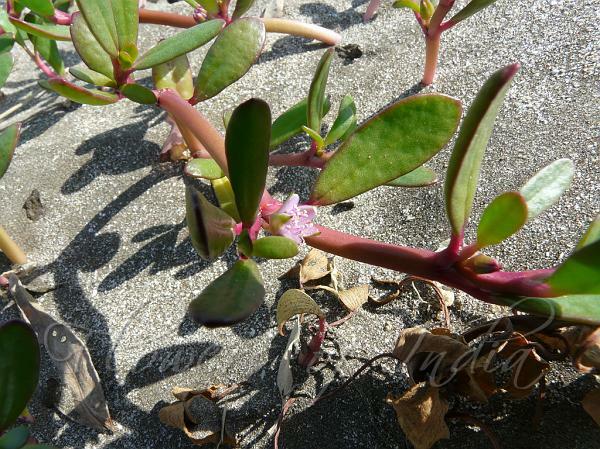 Sea Purslane is a native, herbaceous perennial found on the sea coasts. It grows on the ocean side of the dunes down to the high tide mark. The thick, fleshy leaves are borne on succulent, reddish-green stems that branch regularly forming dense stands close to the ground. Small, showy pink flowers are borne more or less continually throughout the year. Each flower opens for only a few hours each day. These plants help build the dunes by catching sand in between stems and leaves. 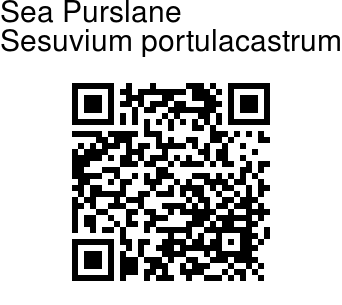 The plant is closely related to the more familiar Purslane commonly found in gardens. Photographed at Kelwa Beach, Maharashtra.